Claiming that India was in the grip of policy paralysis during the UPA reigns, the BJP chief charged that the Congress lacked vision for the country. NEW DELHI: The BJP chief Amit Shah on Friday lauded the rating upgrade by Moody, saying the development after a gap of 13 years was on account of reform measures and their executions by Prime Minister Narendra Modi. “First, the World Bank noted a 40 place jump by India on ease of doing business and now Moody after a gap of 13 years has positively upgraded India’s outlook. This evidently points out to the fact that the economy is on right track. Moody has noted that India has much better prospects of achieving development goals and the country will be able to attract more investments,” Shah said in a media statement. 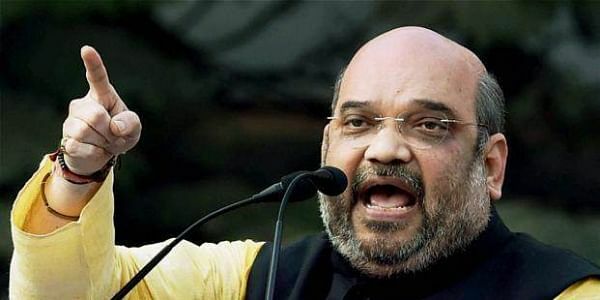 Stressing that Moody upgrade ratings after a gap of 13 years, Shah claimed that the economy under Manmohan Singh-Sonia Gandhi rule had derailed. “India was kept in the category of five fragile economies by Moody in the past. It’s hard to believe that Indian economy saw such days despite acclaimed economists running the affairs of the country,” shah added. Noting that India is poised to climb to the 7.5 growth path, Shah stated that the Modi government has carried out economic reforms on all levels. “In the last three and a half years, Prime Minister Modi has laid the foundation of a new India to help the country become world leader again,” Shah added.